Peercoin, created in 2012, is one of the older and more established cryptocurrencies. Peercoin is a self-titled “stable backbone coin” that was developed with the intention of existing as an unshakably decentralized cryptocurrency that investors can use as a safe haven for their money. To encourage long-term investment, Peercoin offers eligibility for a guaranteed 1% annual return to all users who hold coins for more than 30 days. There is not a set limit on the amount of Peercoins that can be minted or mined, but the inflation rate has stayed consistently at or below 5% since its creation. It was designed to have a consistent 1% inflation rate per year. The Perfect Option For Retail Payments? Peercoin is also a good option for online sellers due to the fact that transactions can be made instantly on its network, and payments secured on the network are heavily encrypted. Additionally, receiving parties of Peercoin pay absolutely nothing, though sending parties must pay .01 Peercoin. The transaction fees are then destroyed with the intention of having a deflationary effect on the network. Peercoin was the first cryptocurrency to use the Proof-of-Stake algorithm. The PoS algorithm essentially ensures that no one entity or small group of entities can own large parts of the network, so there is virtually no risk of centralization or market manipulation by large stakeholders. Extremely secure, decentralized network that is invulnerable to hacking attacks and centralized market manipulation. “Stable Backbone” coin; good for long-term storage and investment and slow growth. Fast transactions and low fees. Utilizes both Proof-of-Work and Proof-of-Stake algorithms. Variety of wallets to choose from. Relatively low investment returns; possibly unlikely for short-term high investment return. All cryptocurrency networks operate on an algorithm, otherwise known as a protocol. Peercoin utilizes the Proof-of-Stake algorithm, while most other networks (including Bitcoin) use the Proof-of-Work algorithm. Proof-of-Work is more commonly known as “mining”. Here’s how Proof-of-Work (mining) actually works in the most basic sense. Mining is the process of solving complex equations to Solving these equations serves a couple of purposes. The first is verifying the legitimacy of transactions. Once transactions are verified, they are stored in the public ledger (the blockchain). The second purpose of mining is that users who are able to solve the equations receive a reward in the form of cryptocurrency; this acts as an incentive for users to keep mining. Thereby, the network is upheld and transactions can be completed. There is a great deal of competition among users to attain the greatest level of mining capability possible. To achieve greater computing power, some users on PoW networks combine their computing capabilities to form what are known as “mining pools”. Some of these mining pools exist as independent warehouses filled with massive amounts of computers and special equipment. As more cryptocurrency is mined, the mining equations become more complex. The computers solving them use increasingly large amounts of power and require increasingly complicated and expensive pieces of technology to function efficiently. Overtime, it becomes extremely impractical for small-time users to mine. In fact, the cost of running a small mining rig may even outweigh the value of the cryptocurrency it earns. The problem with Proof-of-Work-based networks is that these networks significantly favor early adopters and users with large amounts of expensive equipment. Because the equations become more complex as more of the cryptocurrency is mined, far less energy and equipment are needed to obtain a larger amount of cryptocurrency earlier on in its lifespan. As a result of this, it is possible for individual users or entities (like mining pools) to control large percentages of the total network, and networks risk becoming centralized. The Proof-of-Stake algorithm makes it almost impossible for cryptocurrency networks to become centralized. 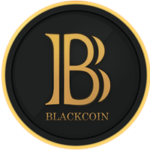 The network is secured and transactions are verified by other users in a peer-to-peer system based on the cryptocurrency that each user holds (the “stake”). The Proof-of-Stake algorithm is also known as “minting” rather than mining. This is because new blocks are created rather than unlocked. Instead of solving equations to earn coins, the Proof-of-Stake will choose users at random to be the generators of new blocks. 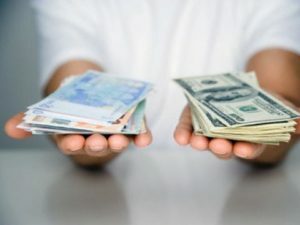 Therefore, the process of minting does not need significant amounts of energy or complex technology to be completed, so any user can profitably participate in it. Interestingly, Peercoin uses both the Proof-of-Work and Proof-of-Stake algorithms. The PoW algorithm is used to spread the distribution of new coins. Proof-of-Stake serves a different purpose; it secures the network and prevents Selfish Mining attacks. Peercoin mining uses the same algorithm as Bitcoin (SHA-256), so anyone with a Bitcoin mining rig can use it to mine Peercoin. Peercoin’s network is designed so that as the overall strength of the network grows, the profitability of mining shrinks. This is another important way that Peercoin prevents mining entities with more powerful resources from owning large portions of the network. Those that are interested in mining Peercoin can view the mining guide on the Peercoin website, or choose from several mining pools. The two mining pools that are dedicated exclusively to Peercoin are Ecoining and Peercoin Solo Pool. The former charges a 1% fee and employs a Pay Per Last N Shares payout system, while the latter allows for immediate payouts and solo mining. Multicoin pools that include Peercoin include Coinotron, Give me COINS, Multipool.us, and SecurePayment CC. Peercoin offers four wallets available for download on its website: two desktop wallets (Peerunity and Peercoin-QT), a paper wallet, and an Android wallet. The Peerunity wallet was developed by the Peercoin community and is recommended for most users. It offers one-click minting and coin control, and has a tab dedicated to mining. Payments are made through addresses, which are 34-character randomly generated strings. 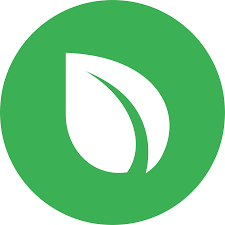 The user-developed Peercoin-QT wallet consists of Peercoin’s core protocol, and only receives high-priority updates. This wallet is intended for developers. According to the Peercoin website, “cold minting” keys will soon be available for the Peercoin-QT wallet–that is, a wallet that will allow users to keep minting even while offline. The paper wallet is a good option for users who want to store their coins for a long period of time or limit access to their coins. The Android wallet does not carry the entire blockchain, and cannot be used to mint coins, but is the best option for mobile accessibility and quick trading. Scott Nadal and Sunny King created Peercoin 2012. Peercoin was based on a paper by the same pair of people. Eventually, Scott Nadal dropped out of the project and Sunny King took over. Peercoin is built on much of the same code as Bitcoin. Financially, Peercoin has stayed relatively steady and stable since its origins. It hit its high point in 2014, when it reached $7.28USD, but has not really come close to reaching that point since. It hovered between $0.20-$0.50USD between 2015 and early 2017, when it saw a rise. As these words are being written, Peercoin is worth $1.66USD. As one of the older cryptocurrencies, Peercoin has proven itself to show some maturity; while other cryptocurrencies wildly oscillated all over the charts, Peercoin has stayed relatively quite steady over the course of the last few years. Those who are interesting in obtaining Peercoin must take the long view if they are looking to get any sort of significant returns on their money. The developers of Peercoin put much thought into creating a secure and protected cryptocurrency that would act as a safe haven for investors. Although Peercoin does not have the hype that other rockstar cryptocurrencies do at this particular moment in time, it is a wise option for users looking for a safe place to store their money.